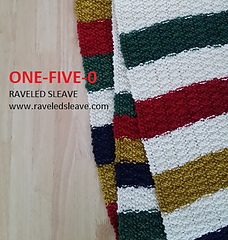 ONE-FIVE-O is a textured reversible scarf, rectangular in shape, in bold colour blocks. 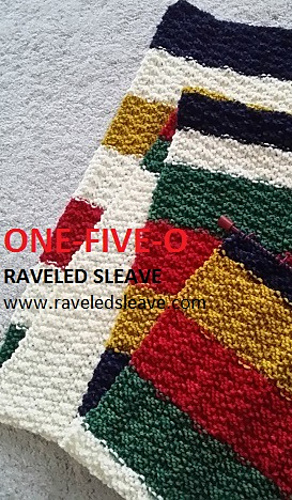 Knit flat, from end to end, utilizing a shift reversible textured stitch in neutral white with four primary colours for contrast. 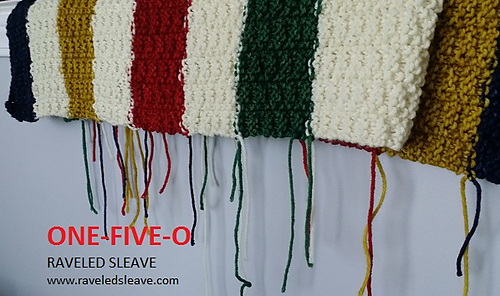 One-Five-O wraps beautifully at neck and shoulders for extra comfort and warmth in cooler temperatures. The One-Five-O design wears beautifully as a scarf, cowl, or wrap, and the colour options are endless. Kick up that outdoor apparel with bright, cheerful colours and snuggle in! Scarf is reversible and width size may be customize. GREEN, RED, YELLOW, BLUE, and NATURAL. Malabrigo Rios, 100% Merino SW, 100g - 192m/ 210 yds. 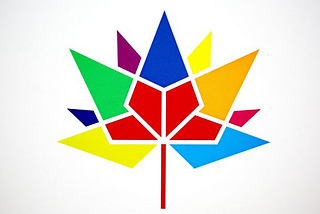 The One-Five-O design is an inspiration and tribute to Canada’s confederation milestone of one hundred and fifty years. A proud recognition to a beautiful country, its unique citizens, inclusive of aboriginal people and landed immigrants, and of the country’s resources and global economic trade. Celebrate Canada! !